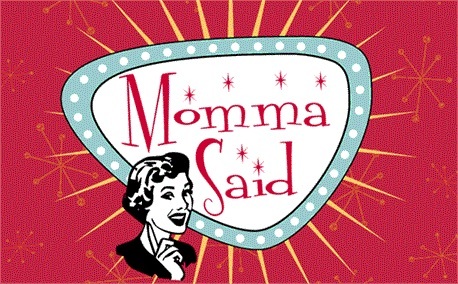 If I was a beautiful young mom, stopping by this blog to gather some wisdom/warnings/stories from a tired seasoned older mom, what would I want to know? What could I tell you about having a big family that may or may not someday be in your future? Momma said they'd be days like this, they'd be days like this, momma said. Don't sweat the small stuff, keep your eyes on the prize. Your toddler won't eat veggies today? Give him extra fruit and try again tomorrow. I once heard a nutritionist say that you should view healthy eating in week-long increments. So, over the course of a week, did I get enough protein, veggies, fruits, dairy, whole grains, etc. Your teen gets a bad grade on a quiz? Tell your inner geek to relax. It's one tiny quiz in the grand scheme of things. Your middle schooler is fighting with her friends? Time heals all wounds. She'll be ok, learn from it, grow from it, and so will you. Every stage has a season, and like a season, this too shall pass. Learn your kid's love language and personality type/temperment. They may all be your kids, but they are all so different! Having only little ones is soooooo hard. It's draining and you're on duty every minute that they are awake. They are loud and whiny and noisy (did I already say that?) but so much fun! What would we do without them? Boring. Try to plan nap times and me time so you don't get a bit blue by the fact that EVERYBODY NEEDS SOMETHING FROM YOU ALL THE TIME. Ahem. Train them young. If you want fully-functioning adult children someday, then start now. Chores should be expected in family life, if they've always done them, they won't think it's strange. Having big kids (like elementary school aged kids) is super helpful to a mom with littles. But! Don't rely on them too much - they are not the parents and deserve a childhood too. We basically expect our big ones to help out with small household chores and occasionally babysit when they get old enough. Mostly they are just great for playing with each other, a skill I lack. Keep the house tidy. I know they say dishes can wait, blah blah, but everyone's happier in a tidy clean house. Don't feel like you have to make grand plans to get individual time with each child. Some of our best talks happen in the car, or grocery shopping, or taking the dog for a walk. Treats and vacations are wonderful, but kids need our love and attention more. That being said, making a favorite meal or buying a favorite snack for a certain someone goes a long way. You have to buy food and cook anyway, but that extra thoughtful step can really brighten someone's day. Let little kids be little. Keep their innocence for as long as you can, there will plenty of years for them to do big kid activities, but they will never be this age again. Raise your family with faith and humor. Be joyful in your vocation and your kids will be happy in theirs. Remember to celebrate every milestone as if it's the first child. Sometimes you gotta fake it until you make it, but when the 6th kid graduates 8th grade, it's just as exciting for him as when the first kid graduated. It's old hat to you, but look at it with fresh eyes from their perspective. Praise them often. Instill confidence and courage. Celebrate not only their accomplishments, but also their work ethic to get there. Telling a kid they worked really hard is a better life lesson than telling them they are so smart. Make sure they know what's important in life - manners, kindness, faith, love, family - getting into Heaven is the goal, not getting into college. Raise kids to be the kind of adults you want to hang out with. But, I don't because kids want to eat all the time (who knew? every mother every where, that's who.) and it's my job to feed them. I know you're all in the same boat, as it's probably my number one request I get from you guys - to list out some meal ideas that we use to feed a gaggle of kids fast on nights when we are all coming home from work/school and running back out to meetings/church/sports events. I'll admit, it's a little embarrassing to write out some of these simple meals, but I'm nothing if not honest, so I'll eat the humble pie and let you in on our easy peasy tried and true weeknight meals. 1) We always keep fruit and veggies in the house to act as sides to these meals. Think apple slices, baby carrots, cucumbers, frozen corn, frozen peas, grapes, lettuce, bananas, you get it. 3) We do NOT serve milk with dinner. We have found that some of our kids would fill up on milk and not eat the main course. So they get water with dinner and a cup of milk later in the evening before bed. 4) We serve what we serve and that's it. If they do not want to eat it, they don't have to (they'll always eat something on their plate) but they don't get anything else to eat. There are some items that toddlers just have a hard time eating, and I will make them a turkey hot dog or chicken nuggets instead, but not as a reward for not eating the first meal. They get that as their first meal. 5) We eat a lot of protein (six growing boys!) and we do not have any food allergies, thank you Baby Jesus, so please don't be offended by our gluten-dairy-animal-egg-filled choices. I'm just a basic home cooking mom. 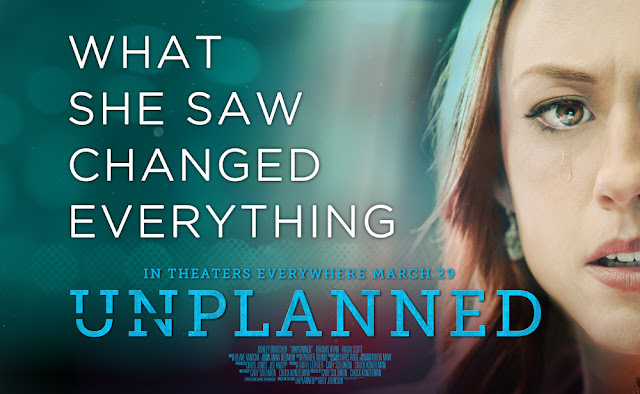 On Saturday, Phil and I and our friend, who's a priest, all went to see the movie Unplanned. This movie is based on the book by Abby Johnson with the same title. I already knew Abby Johnson's story, as I think most pro-lifers do. Abby is sort of a hero of our times in the pro-life movement. She was the Clinic Director of Planned Parenthood down in Texas, and she switched sides after seeing an ultrasound-guided abortion. How did a little girl, raised in a pro-life family, become not only pro-choice, but eventually Planned Parenthood's Employee of the Year? Simply put, she believed the lies. I mentioned earlier that I got a speeding ticket. My first one. I am appealing it based on my perfect driving record and going to beg for mercy! I'm nervous to do it though, I do not like confrontation. Give me your tips, you speed demons! We joined the YMCA! Previously, both Maggie and Xander were members to get half-off swim lessons and access to open swim times. I was paying $26 per month for their memberships, which I decided was crazy. I was talking to a coworker about it, who happened to be a past YMCA employee, and she told me to apply for financial aid. So I did, and it turns out that a family of nine living off of two small Catholic school salaries totally qualifies! Now we are getting a family membership (me and the kids, Phil is staying at Planet Fitness) for $27 per month, only $1 more per month than we were spending on just two kids. I always try to smooch Brendan's cheeks, and he will say "Ahhh no klissing me!" with a big smile on his face. Well, how can I not kliss you when you mispronounce it like that? We went to JP's Winter Track banquet, and when he received his award, the head coach described him as being the fastest 300m runner. Afterwords, I congratulated him, and said I didn't know he was the best 300m runner on the team. He said "I'm not, but the fastest kid wasn't at the banquet, so I was the fastest there!" On Monday, the kids asked what was for dinner when I picked them up from school (not unlike every day) and I said tacos. Xander asked "Why are we having tacos on the Feast of the Annunciation??" and I said "Because the Angel tacoed to Mary and told her she was pregnant with Jesus, and then Mary said Queso?" Only Maggie laughed. Phil wanted to take me out for dinner and ice cream to celebrate the feast day so we fed the kids and put the little ones to bed and were getting ready to head out when Maggie asked "Where are you two going?" and I said "To do some errands" and she said "I KNOW THAT MEANS YOU'RE GOING ON A DATE!!" Busted. I got a speeding ticket. I know, ugh. It was the first one in my life, and Andrew and Eamon were in the car with me. The cop was on a motorcycle and didn't have a laptop to look up my history and see that I've never gotten a ticket before, so he gave me one and said I could appeal it. I was upset, and drove away saying "I can't believe he gave me a ticket! I should have only gotten a warning! That place is a speed trap! The speed limit drops from 40 mph to 30 mph once you cross the city line! I can't believe he gave me a ticket!!" Andrew just looks at me and goes "Well, there are consequences in life." I was holding Brendan and we were just playing around, when it was time to hand him off to Phil for bed time. He reached back out for me and said "Wait! You need me!". I love when kids confuse pronouns like that. I went to a new group exercise class, and this nice older gentleman was helping me get set up with a mat and weights, knowing it was my first time at this class. He told me to get two sets of weights, 8 pounders and 5 pounders. I'm actually pretty strong (thanks ice-cream scooping and shotput throwing and baby holding muscles) so I only used the eights throughout the class. At the end of the class, he said to me with a smile "You didn't need no stinkin' fives!"